Nothing says "Wow" like the "Williams" Outdoor Fireplace Project by Leisure Select! With this project you can upgrade your patio, creating an Outdoor Room that will impress any guests. This particular Fireplace Project will add a truly expansive space for neighbors and visiting family members; notice the seat walls that wrap around a porch or patio offering nearly endless seating. And the stone exterior is all-custom; you pick the colors and stone types to match your heart's desires. Fueling your fire will be easy with the raised hearth, while the hartstone cap adds distinction and breaks up rising smoke! It's time for an outdoor upgrade! 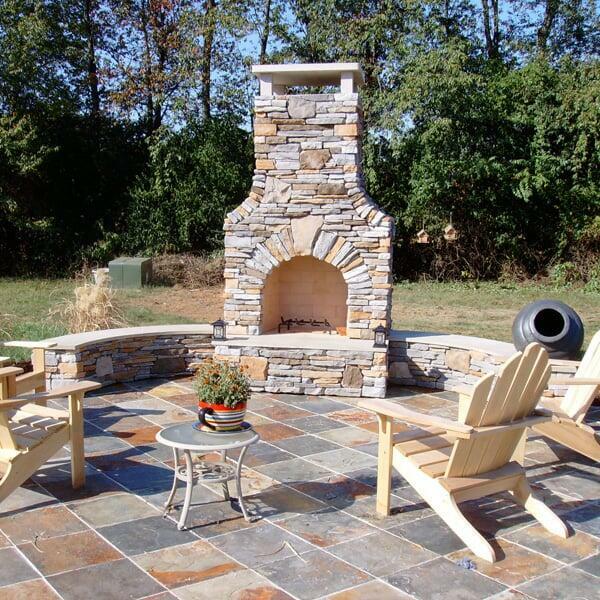 Contact Family Leisure today and ask about the "Williams" Outdoor Fireplace Project by Leisure Select!